Upon arrival to the airport you will meet our representative and transfer to your hotel in Tel Aviv for overnight. Rest of the day is at leisure. Breakfast. Leave Tel Aviv driving south, passing by Ashdod and Ashkelon en route to Beersheba, for a drive through the Negev capital. Continue via Arad to Masada. Ascend by cable car to the fortress, which was the last stronghold of the Jewish Zealots in their war against the Romans. Visit the excavations including Herod's palaces, the synagogue, bathhouse andcisterns. 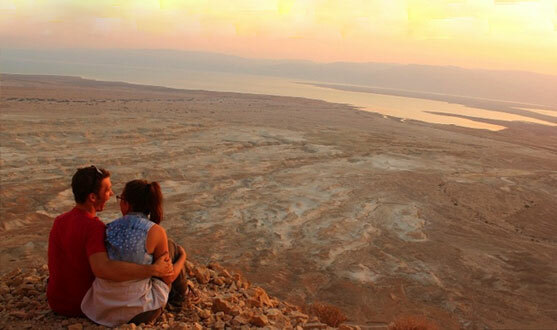 Enjoy the breath taking view of the Roman camps and the Dead Sea. 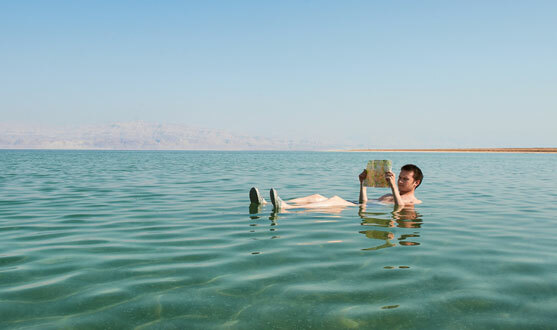 Descend for a "float" in the salty water of the world's lowest place – the Dead Sea. Breakfast. Start the day with a panoramic view of Jerusalem from atop the Mt. of Olives. Then on to the Garden of Gethsemane and Church of the Agony. Continue to the Israel Museum's Shrine of the Book with the famous Dead Sea scrolls, then a visit to the beautifully renovated model of the Herodian city of Jerusalem, dating back to the time of the Second Temple. Continue to Yad Vashem (the memorial to the six million Jews who were killed in the Holocaust). Afternoon drive to visit the picturesque village of Ein Karem(the traditional birth-place of John the Baptist). Return to Hotel. Overnight. Breakfast. Enter through one of the gates to the walled Old City to visit the renewed Jewish Quarter, the Western Wall, the Temple area and the colourful bazaars. Walk along the Via Dolorosa and the Stations of the Cross, ending at the Church of the Holy Sepulchre. Continue to Mt. Zion and visit the tomb of King David, the Room of the Last Supper and Dormition Abbey. In the afternoon continue to Bethlehem to visit the Church of the Nativity and a view of the Shepherd's Fields. *Return to Jerusalem for overnight. Breakfast. Leave Jerusalem and drive north, passing by Jericho, the oldest city in the world. Travel through the Jordan Valley to Beit Shean. Visit the excavations of this beautifully preserved Roman City. Proceed to Nazareth to visit the Church of the Annunciation and the carpentry workshop of Joseph. On to Safed, city of the Kabala, for a walk through the mystic alleys, avisit to a synagogue and the artists' colony then continue to a Kibbutz hotel for overnight. Breakfast. Drive to the Golan Heights, passing by the Druze villages. Visit a former Syrian fortification on the heights. Pass by Banias, source of the Jordan River to visit the Mount of Beatitudes. Visit the ruins of the ancient synagogue and Peter's house at Capernaum. Visit Tabgha, where the miracle of the fish and bread took place. Continue to Tiberius for a short tour of the old centre of Jewish learning. Return to the Kibbutz hotel for overnight. After Breakfast drive west to Acre for a visit of the old, famous Crusader stronghold and medieval fortifications. Continue to Haifa, for a panoramic sightseeing tour of the city, including the Baha'i Shrine, Persian Garden, Mount Carmel and Haifa bay. Proceed southwards to Caesarea to visit the ancient port, including the Roman Theatre and the Hippodrome. 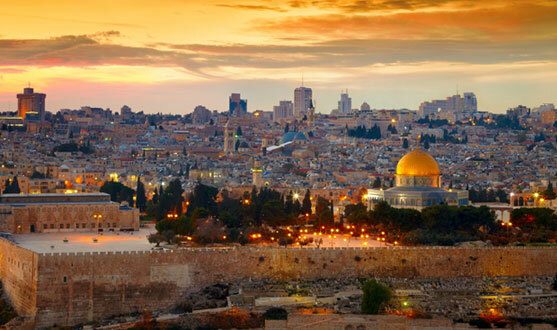 Continue to Tel Aviv-Jaffa for a short city tour then overnight at your hotel.